The Italian Serie A is one of the best and most exciting football leagues in the world. In fact, as of 2016, Serie A is ranked fourth among European leagues by UEFA, based on the performance of Italian clubs in the Champions League and the UEFA Europa League. 1st4 Football Tickets can provide you with Serie A football tickets to all top football matches including AC Milan tickets, Inter Milan tickets, Juventus tickets, Roma tickets and other tickets to all Italian Serie A teams. Popular matches are AC Milan v Inter Milan at the amazing San Siro. But also the Roma derby between AS Roma and Lazio Roma is a big match between two long lasting rivals. Some of world's greatest players are playing in the Italian Serie A. Buy your Serie A tickets now online. 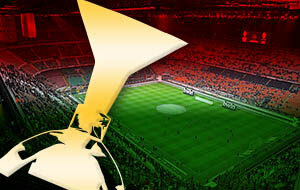 1st4FootballTickets.com has the very best football tickets for Serie A matches – both home and away. Twenty Italian clubs compete in Serie A - Italian First Division. Titan club, Juventus, won the Serie A Championshp crown for the 2017 – 2018 season, followed by Roma, Napoli, Atalanta Bergamo, Lazio, Ac Milan and Internazionale. Buy Italian football tickets to watch Serie A fixtures and the derbies among Italy teams from the same city - Milan (Internazionale v Milan); Turin (Juventus v Torino); Rome (Lazio v Roma); Genoa (Genoa v Sampdoria); and Verona (Chievo v Hellas Verona). Serie A has a loyal, enthusiastic fan base in Italy and abroad that fully supports their favorite Italian first division sides. All twenty of the big football clubs in the Serie A have ardent supporters who attend home fixtures and travel to other cities to cheer for their beloved sides and favorite players at away games! Join in the fun and sit with other fans – enjoy the mouth-watering Serie A matches! You can buy Serie A tickets at 1st4FootballTickets.com securely online - or you can call our Serie A football ticket hotline @ UK TEL: 0871 284 5277! This year, the three biggest teams Inter Milan, AC Milan and Juventus are once again competing for this year's league title. Juventus has dominated the Serie A for the last 4 years. Not only we have tickets available for Serie A matches, but also we offer Coppa Italia tickets and tickets for the Italian national football team. All ticket orders such as Italian football tickets and Champions League Final tickets are 100% guaranteed. 1st4 Football Tickets sells Italian football tickets for home and away matches. See world's best players playing in Italy! You can either buy your Serie A football tickets online through our secure online booking system. Every Serie A ticket order from 1st4FootbalTickets.com comes with a 150% guarantee and will be delivered to you ASAP by our reliable partners FedEx and Royal Mail Special Delivery. 1st4FootballTickets.com has served thousands of satisfied Serie A fans for more than seven years. We offer friendly customer service, sold-out tickets, hard-to-get football tickets and last minute bookings for one or more Serie A football tickets from our highly secure football ticketing website. You can also book Serie A football hospitality tickets for Italian league fixtures online or by calling our Serie A football ticket hotline. 1st4 Football Tickets.com is not affiliated with the FA, UEFA, FIFA or any other football organizations.